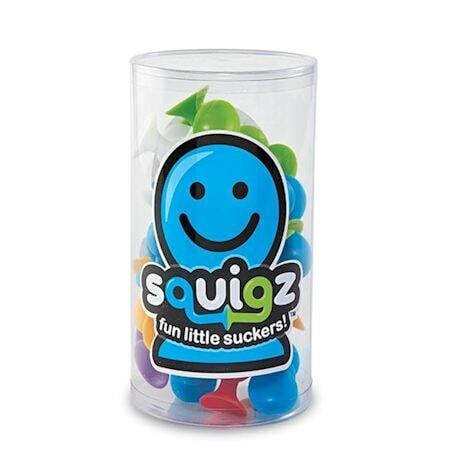 Fun little suckers, Squigz stick to almost any flat surface--and to each other. 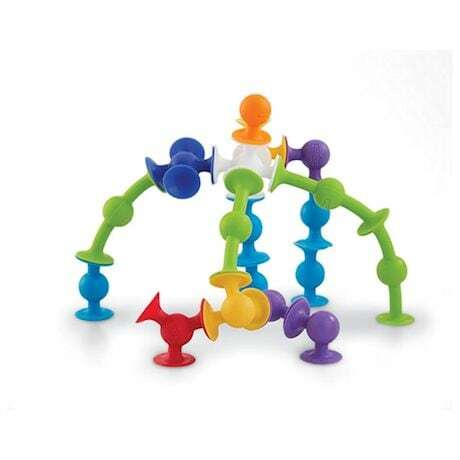 Kids can stick them and stack them to create colorful sculptures, then pull them apart and start over. Use on a table or desk, windows, walls, lockers, fridge, or tub; silicone rubber won't leave marks. An award-winning toy (Parents' Choice Approved, named "Best in Play" by Parenting magazine), Squigz encourage creativity and playful experimentation while building fine motor skills. Starter Squigz is 24 pieces, Deluxe is 50 pieces. Ages 3 and up.